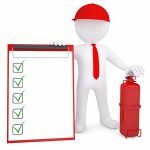 Home » How to Choose the Best Fire Alarm Panel? When a fire breaks out the adrenaline is high and an easy to operate fire panel can be critical. A fire alarm system is installed, maintained, and regulated for the building owner and the occupants in the event of a fire. Which one is best has less to do with the brand and more to do with its operation. Remember—in the case of a fire alarm panel, easier is always better! Is the panel easy enough for anyone to use? 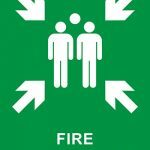 Ideally, at least all of your building managers and maintenance engineers should all be trained on your particular fire alarm. This isn’t always possible, especially if one of them is not able to get to the panel in time, so you want to make sure your fire alarm panel is easy enough to use that it doesn’t require training. Every second counts during a fire, and you should be able to get all the information you need from your fire alarm panel at a glance. It should tell you exactly where the fire is active without you having to press any buttons. This will save time and confusion during a panic situation. Requiring fewer button presses on the fire alarm panel is always better, no matter what. More buttons only increases confusion, with more labels to read and more decisions to make when time is of the essence. The only buttons you really need on a fire alarm are Reset, Silence, and Acknowledge. These buttons should all be easily visible on the panel, separate and larger than any other buttons to establish their importance. To accomplish anything, when trying to operate the fire alarm panel, the ease of operation is determined by the number of required steps. How many buttons do you need to press? You want to make sure your fire alarm panel requires as few steps as possible to operate. Every additional step after Silence and Reset increases the complexity of your panel exponentially, especially if the buttons have to be pressed in a certain sequence. To operate the fire alarm panel, the NFPA Fire Alarm Code requires a password or key. If you use a password, make sure it is written down for future operators. A password no one remembers makes the fire alarm system impossible to use. Without the password, the firefighters can’t even use the panel when they’re trying to fight the fire. Having a key to unlock the buttons is an alternative to requiring a password. Keys can get lost, but the fire department will usually have a working key in their lockbox. When thinking about which fire alarm panel is best, the untrained person is the one that needs to be considered. If you need fire alarm panel installation, call Fire Control Systems. We will help you choose the perfect fire alarm panel for your building so you can be as protected as possible.